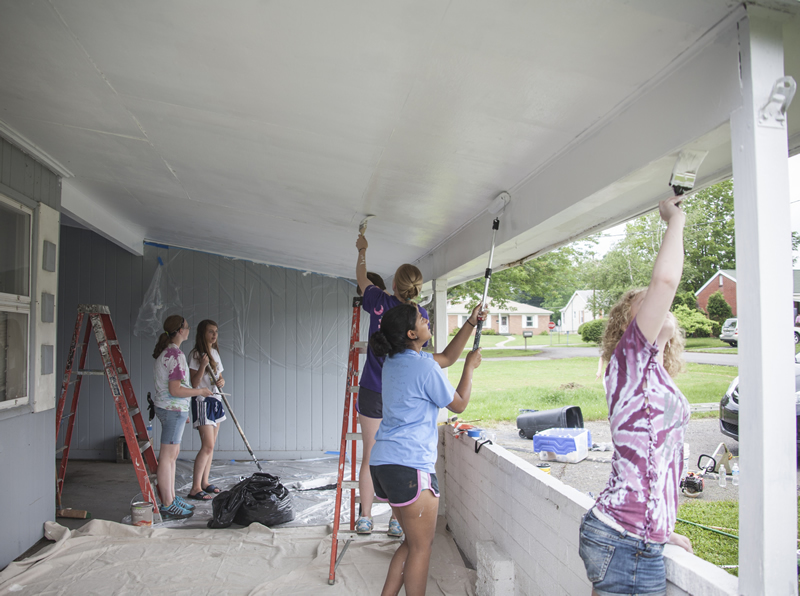 South from St. Mary Parish in Star City paint during the Summer Work Group Program coordinated by Father Arthur Bufogle, pastor of St. Sebastian Parish in Kingwood, St. Zita Parish in Masontown and St. Edward the Confessor Mission in Terra Alta. 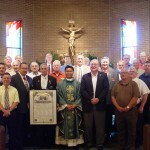 Newly ordained deacon, Rev. Mr. Justin Blanc, right, processes from the church at the end of his ordination. With him is Rev. Mr. David Galvin. 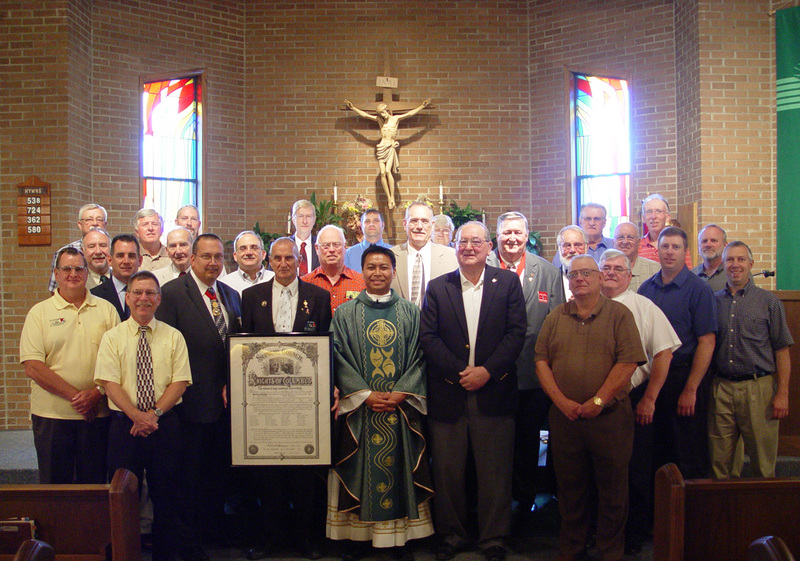 Father Michael Lecias is pictured with members of the new Knights of Columbus.